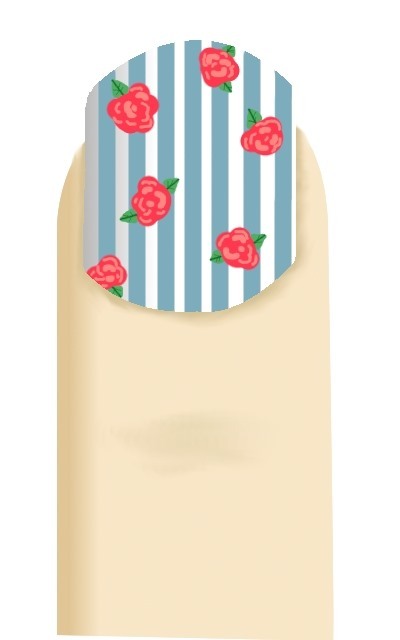 This tutorial can be used for toenails too. 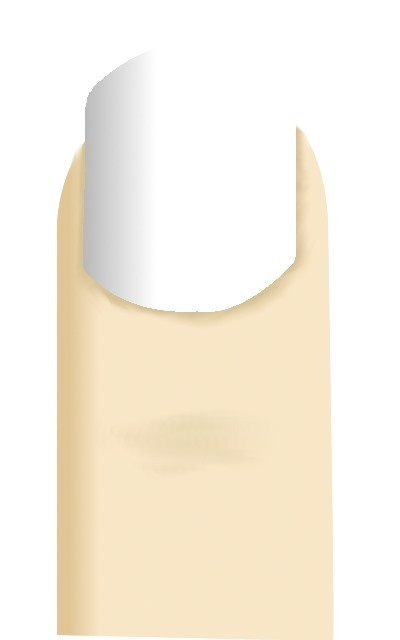 For this tutorial, the base coat will be painted white. 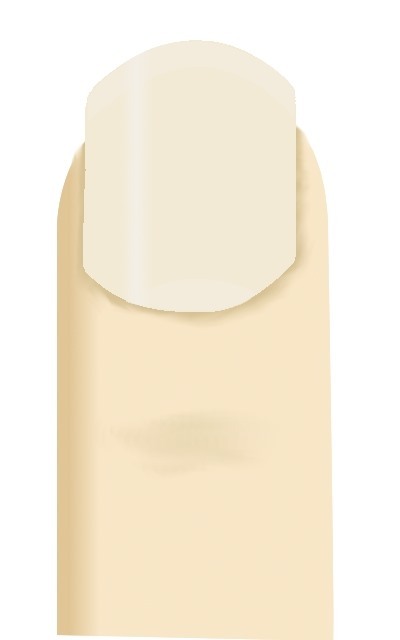 Make sure the base coat is smooth and even. 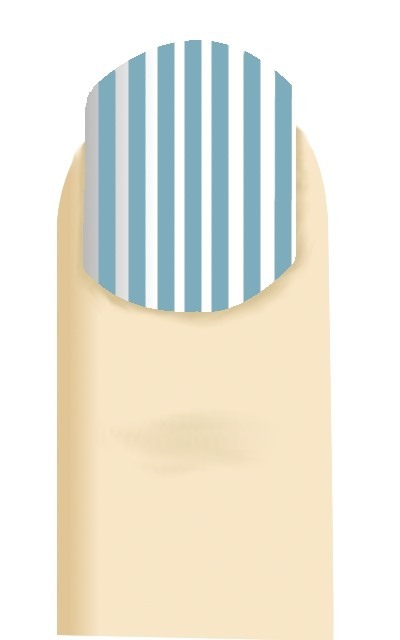 Using a nail art brush, nail art pen, toothpick, or whatever your comfortable with, paint thin, horizontal, light blue stripes on the nail. Using a nail art brush, nail art pen, toothpick, or whatever your comfortable with, randomly paint small red blotches. These should NOT be perfectly round circles. Using a nail art brush, nail art pen, toothpick, or whatever your comfortable with, paint curves within the red blotches using a lighter red. When finished, they should look like roses. Using a nail art brush, nail art pen, toothpick, or whatever your comfortable with, paint small green leaves angling out of the roses. Step 7 Add details on the leaves. Using a nail art brush, nail art pen, toothpick, or whatever your comfortable with, paint darker green lines inside the leaves. Step 8 Add a top coat. Add a top coat to make it shine and prevent the polish from chipping and your done!